Nguyen Expeditions - What Are Google’s .app Domains and Why Do They Matter? What Are Google’s .app Domains and Why Do They Matter? As of May 2018, Google’s domain registration branch is now selling .app domain names. Google bought the exclusive rights to the .app upper-level domain three years ago, and they’ve worked on it behind closed doors ever since. However, that work has paid off big for Google, which now controls the sale and distribution of all .app domain names. In other words, if you want a cool domain name for your new application (phone, tablet, or computer), Google is your only option. That places the tech giant — owned by the conglomerate Alphabet — in a strong position, especially when you consider their stranglehold on the worldwide information market via Google Search. Present corporate holdings notwithstanding, Google’s .app domain names promise to offer corporations and individual developers a unique chance to brand their products immediately. If you ever wanted to know whether a service was an application, your answer is right in the domain name. But that only scratches the surface of what .app promises for the Internet as a whole. In fact, .app is arguably the most impactful change to the Internet in 2018 so far. So what should you know about .app domain names? And what can you expect if you were to buy one? .app is Google’s shorthand version of indicating that a website refers directly to an application that you can access via an Internet-connected device, like a smartphone. However, this is where Google’s official news about the domain name stops. Considering Google’s other holdings in the tech market — specifically those that impact the Internet — it’s possible that .app domains will synergize well with other Google products, including the search engine. That doesn’t necessarily mean favoritism. But it does mean that Google has a large portfolio of products and services to consider as it rolls .app availability out to everyone. For the moment, these domain names are only available to a select few Google customers that were hand-chosen as beta participants. But who ever heard of beta-testing a domain name before? After all, upper-level domain names are different in how they look, but they all function the same way, right? Before the creation of .app, you’d be right. But now, Google has a trick up its sleeve. Aside from the implication that .app websites only deal with online applications, the domain comes with a built-in advantage over other top-level domain names. .app is the first — and only — domain name to have built-in secure socket layer (SSL) protection. That means that all websites registered with .app domains immediately receive additional protections that keep them safer from hackers. This is exceptionally important for online applications since almost all of them require users to create an account that involves some kind of personal information. That information may just be an email address. It could be an email address and a name. It could also be a name, address, phone number, and credit card number. But it’s an application developer’s responsibility to keep their application safe — and that includes their users. SSL automatically gives a website the HTTPS prefix as well. So instead of http://www.nguyen.org, you’d see https://www.nguyen.org. This is important because Google, Firefox, and other web browser creators look at this as an indication of website security. In fact, Google loves HTTPS so much that it’s an official ranking factor in their search engine when they rank websites in search results. Altogether, this means .app is the first domain name to truly consider safety and security. Others — even .com — require webmasters to develop their own SSL protection to make their website HTTPS. Default HTTPS also empowers .app domains to comply with HTTP Strict Transport Security (HSTS), the flagging mechanism that declares certain websites “unsafe” if they don’t have SSL protection. In a nutshell, HSTS tells web browser users when a website isn’t HTTPS compliant by showing a big, red error message. That encourages the user to leave the website, sometimes with a button that says “Back to Safety” or something similar. HSTS is designed to keep Internet users safe. It can also be the first impression someone gets of a website or a whole brand. That’s bad for a brand altogether since it essentially dissolves any trust a website can establish with a visitor right off the bat. Just imagine if someone tried to go to your homepage and got an error message that warns them to leave your website. It’s not putting your best foot forward in a new relationship, by any means. Without that HTTPS prefix — and the HSTS compliance — a website risks Google Chrome displaying that error message warning the user to not enter a website. In other words, HTTP is not only weak and vulnerable in today’s age of hackers and malware, it’s also publicly shown to be untrustworthy. HTTPS (powered by SSL protection) is strong, secure, and safe. It’s exactly what an application’s users want — protected information. As Google has said in its own statements, its .app domain is a strong step forward in an Internet that’s more secure and more reliable than today’s. What Should You Expect When Buying a .app Domain? If you’ve had the good fortune of being chosen for Google’s beta testing, then you already know the benefits of buying a .app domain. 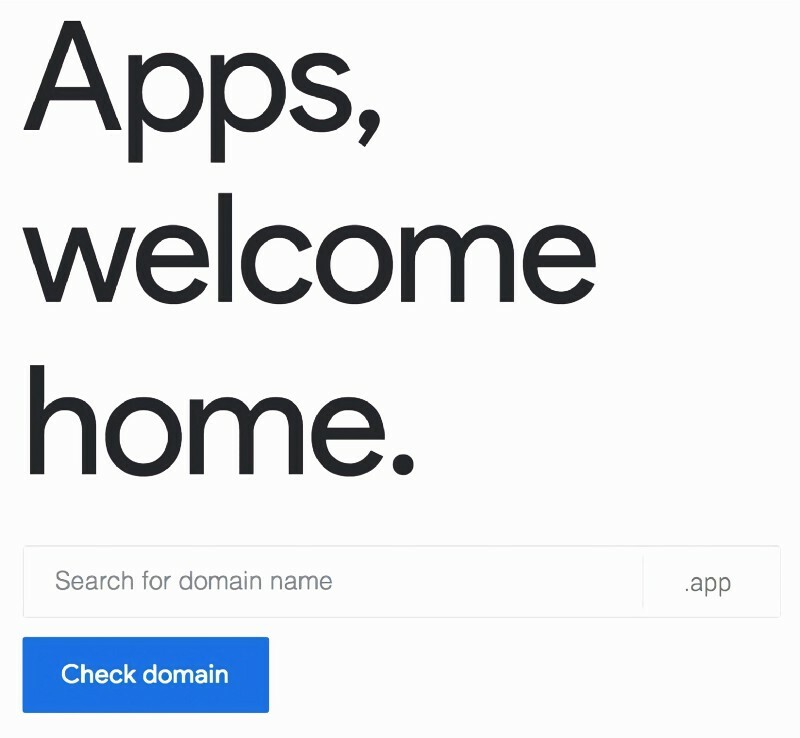 Regardless, here are the things you should be ready for in case you want to buy a .app domain. Despite the fact that Google owns .app entirely, it’s selling domains at the average price — around $10 to $12. This is a refreshing fact for several reasons. First, webmasters and company leaders can rest easy knowing that their brand name won’t cost a fortune when they go to purchase the .app address. Second, it means Google doesn’t have any clear plans to gauge the prices of their .app monopoly. This was a concern because, as noted above, Google has tons of products and services that could synergize well with the .app domain name. If they chose, they could turn all of those products into a comprehensive package that charges the customer more for what they want to buy. The legalities of that get a little muddy — Google has already been in hot water before for how it conducts its search engine, so it’s unlikely that they want to risk any of that negative attention again. But the ethics of that option are even worse than the legalities. While Google could make a lot of money by packaging .app with other services — or even leverage search engine advantages for marketing purposes — they’re doing the right thing by selling .app as though it were a typical, competitive domain name. On the one hand, that’s reassuring because it means Google’s moral compass is on point. On the other hand, the only barrier holding back price gauging is Google’s good will. And as a publicly-traded company, Google has a vested interest in doing whatever it can to make money. It clearly hasn’t impacted Google’s approach to selling .app quite yet — but it’s something to keep in mind moving forward. Also, even while Google doesn’t promise advantages in other products like search, .app still has a major advantage with other Google products since it’s built with SSL. Search engine optimization (SEO) is the practice of improving your website to make it more valuable to your readers and readable by search engines like Google. As we noted before, .app websites will have SSL built into them, meaning their full web addresses will start with HTTPS instead of HTTP. This is confirmed to be a ranking signal in Google’s search rank algorithm, which determines what search result someone sees for different queries. So let’s say there are two websites. Both of them were founded around the same time, and they’re pretty much equal when it comes to the number of readers they get on a monthly basis. But here’s the thing — one of them is HTTP, and the other one is HTTPS. This means that nine times out of 10, the HTTPS website will rank above the HTTP website, even if the HTTPS website doesn’t have the best information. First, Google’s algorithm isn’t perfect. Sometimes it recommends sub-par results for queries because there’s just nothing else out there. But that’s the thought process Google is using in its effort to persuade a more “secure” Internet for everyone. Here’s the catch though — your website may not need HTTPS security at all. HTTPS is valuable for .app websites because applications require users to create accounts that include personal information. But if you run a blog, you’re probably not collecting much personal information (if any at all). 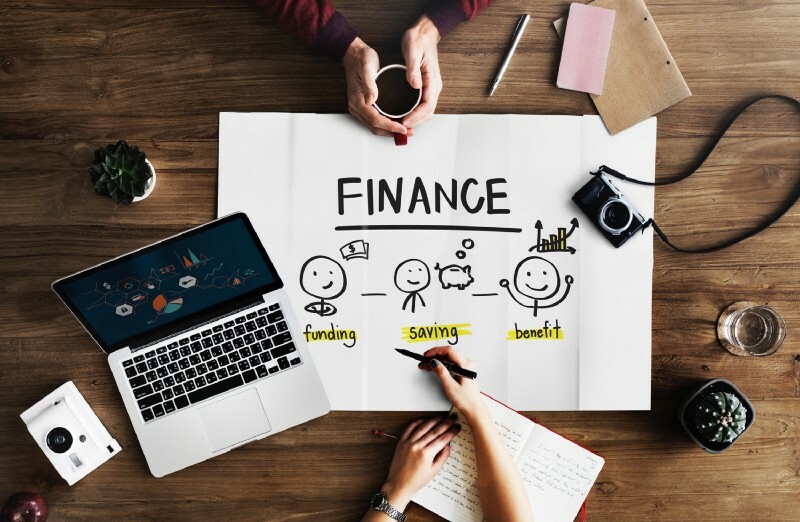 You might collect subscribers so you can send out newsletters, but that’s nothing compared to a multinational banking website that gives someone access to a checking account. Those are two very different websites that offer two different versions of security. But in Google’s eyes, they both need to be HTTPS verified. That’s not necessarily fair — but it’s just the reality of the situation. With that in mind, any .app website that establishes its own blog will instantly have a stronger advantage in search than a similar website purchased with a .com top-level domain. The new website established with a .com domain will also have to pay for (or create) its own HTTPS security so that it can compete in search results. Incidentally, that fact brings us to our final big point of .app domain names. So let’s say you are a daily consumer, and you bought a .app domain name for $15. That’s pretty high just for a domain name, especially when you have to add hosting and other costs on top of it. But let’s compare that against what it costs to get SSL / HTTPS security for yourself — without it built into the domain name. Even if you know someone who will do the work for free, you’re still looking at a major time investment of migrating your website from HTTP to HTTPS. Then, there’s all the back-end work that has to go into it, like 301 redirects. You also have to set up new tool properties for analytics services since Google considers HTTP and HTTPS to be two different websites. That means the .com purchaser who has to get HTTPS (instead of just having it) will lose a lot of time, data, and money to converting their website properly. And even after they’re done converting it, there’s no guarantee that it’ll work flawlessly! It’ll still probably take a few days to work out all the kinks and bugs that naturally arise whenever you migrate a website. So even when you pay a bit extra for a .app domain name, you eliminate a huge cost that you otherwise would’ve had to eat. This is an enormous problem for small businesses especially, and it can hurt startups too. It takes months or years for companies to turn a profit. If you have to add website migration and security on top of your other expenses, you’re going to have a really hard time getting into the black. Even if Google jacked up the price of .app domains to $50 a pop, they’re still worth the purchase from an investment standpoint. The Final Word: Should You Buy a .app Domain from Google? If you have an interest in preserving your brand online, buying Internet real estate, or just experimenting with new technology, a .app domain name is the right choice for you. If this is the first you’ve heard of .app domains, then you may want to do some more homework and thinking before you make the purchase. At the same time, you can get your name for less than $20. That’s a cheap price tag, even if you have an idea that you’re not sure will ever become something tangible. All in all, there’s no big risk to buying a .app domain. So if you’re asking yourself “Why should I buy one?” you’re asking the wrong question. After all, if you don’t get the name you want for a .app domain, someone else might. Then, you might have to buy the domain from a third party or after market instead of from a registry. And if that’s the case, then you could wind up paying hundreds (or even thousands) for the domain name that you could’ve gotten for $12 this summer. When you think about it like that, it’s an easy choice.